Replace the O-ring if oil leakage or exudes from the plug. Replace the O-rings if oil leaks or exudes from the plugs. Remove the plugs and O-rings. 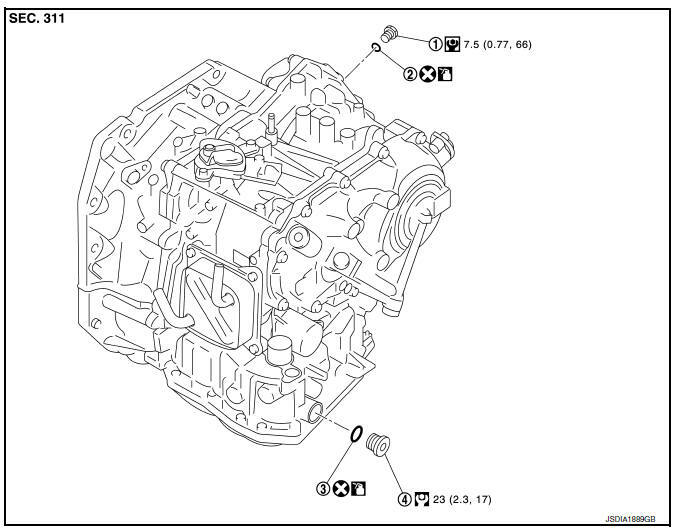 Apply Genuine NISSAN CVT Fluid NS-3 to O-ring. AdjustCVT fluid level. Refer to TM-251, "Adjustment".